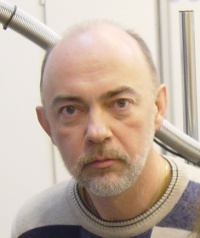 Head of the Structure-Function Relationship in Biological Molecules Group at the Center for Biocrystallographic Research at the Institute of Bioorganic Chemistry of the Polish Academy of Sciences in Poznan. - B.Sc. (Hons) 1983: University of York, England. - Ph.D. 1986: Cambridge University, England. - Habilitation 2001: Institute of Bioorganic Chemistry, Polish Academy of Sciences, Poland. - Professor of chemistry 2007: entitled by the President Lech Kaczynski. 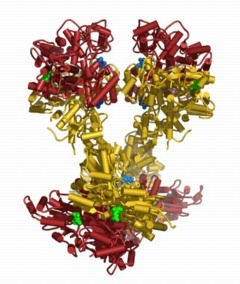 The three-dimensional structure of biomolecules is essential in determining their function. One of the best tools for studying structure is X-ray crystallography. My group uses this technique to investigate the relationship between structure and function for proteins and nucleic acids. There are several areas under investigation in the laboratory. Glycolysis is the foundation of both anaerobic and aerobic respiration and occurs in nearly all organisms. It is the main energy source in many prokaryotes and in the eukaryotic cell types devoid of mitochondria or functioning under low oxygen or anaerobic conditions. The rate of glycolysis is tightly regulated subject to the cell's needs for energy and building blocks for biosynthetic reactions. Phosphofructokinase (PFK) is a key control point in the glycolytic pathway, just downstream of the entry point for hexose sugars. It catalyses the conversion of fructose-6-phosphate to fructose-1,6-bisphosphate and ATP to ADP. PFK is the enzyme with the most complex regulatory mechanism in the glycolytic pathway. The major isozyme of PFK is PFK1, a multi-subunit allosteric enzyme whose activity is modulated by a number of effectors. The sophistication of the control mechanism of PFK in eukaryotes is matched by its complex evolutionary history. Subunits of eukaryotic PFKs are a result of tandem gene duplication of the prokaryotic precursor with the redundant parts having evolved to acquire new functionalities, allowing the enzyme to become responsive to an even larger range of allosteric effectors than the bacterial enzyme. We have been studying the crystal structures of two eukaryotic PFKs: from baker's yeast (Saccharomyces cerevisiae) (shown) and from the skeletal muscle of rabbit, in complex with their ligands to determine the structure-function relationship of this key glycolytic enzyme: the enzymatic reaction mechanism and the allosteric control, and to understand the evolution of this complex enzyme in terms of the 3D structure. The control of metabolic pathways in eukaryotic micro-organisms, in particular fungi, has a major impact on economy and medicine. Yeast is ubiquitous in nature and is used on a large scale in industry (e.g. in fermentation of sugar) and in biotechnology (e.g. as eukaryotic systems for protein expression), and for the production of organic compounds - semiproducts in the synthesis of therapeutics. Some species of yeast are pathogenic. Mutations in human PFKs have been linked to several genetic diseases. "Molecular biology is undergoing its biggest shake-up in 50 years, as a hitherto little-regarded chemical called RNA acquires an unsuspected significance" (The Economist). This is due to the recent discoveries that in addition to the traditionally recognised roles in ferrying the genetic code across the nuclear membrane and in protein synthesis, RNA also plays major roles in biological processes which had not been ascribed to it previously: the catalysis and regulation of gene expression (miRNAs and siRNAs). There is also a growing interest in applying RNA technologies in therapeutics (ribozymes, RNAi). RNA possesses structural richness that matches its newly discovered functions and the knowledge of its structure, like with other types of biological molecules, is the key to understanding its properties, its function and interactions with the environment. Yet RNA is by far the least studied type of macromolecule in terms of three-dimensional structures. Another area of our interest are the fundamental properties of proteins and their interactions with ligands and substrates. We have done a series of atomic resolution studies of serine proteases and protease/inhibitor complexes. Atomic resolution (ca. 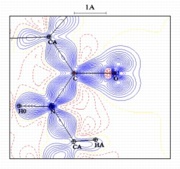 1 angstroem) data obtained using synchrotron radiation reveal information previously inaccessible to crystallographers. 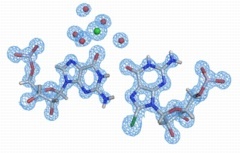 Whereas conventional crystallography yields little more than the fold and approximate disposition of residues, with high resolution studies it is possible to examine in detail the anisotropic thermal motions of atoms, visualise hydrogen atoms (left), the details of protein hydration and the solvent structure. Unrestrained (unbiased) refinement of atomic coordinates results in molecular models accurate enough to address issues like differences in substrate specificity and detailed reaction mechanisms. At resolution much higher than 1 angstroem it is possible to examine the detailed electronic structure of the molecule and observe features such as bonding electrons and free-electron pairs (right).